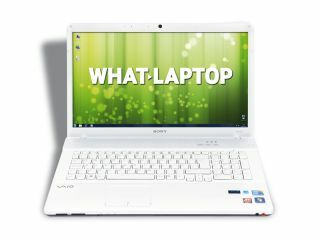 What's the best Sony laptop? If you've settled on a Sony, then you're probably wondering what the best Sony laptop is for your budget. Here we've gathered together the best Sony Vaio reviews for your delectation. But if you don't want to buy a Sony Vaio, check our 20 best laptops in the world piece. With a Blu-ray drive and 1080p Full HD screen, there's no lack of multimedia power in this great 15-inch laptop. It's not just good for play, though. The brilliant keyboard makes typing on this Sony a breeze. The VPC-EC2SOE/ WI offers great everyday performance, excellent usability and a healthy features list. A more powerful graphics card would have made this an unstoppable force, but don't let that bother you unduly if you're not a gamer. Combining stunning performance, great usability and HD features, the VPCF12M0E/B is a fantastic machine at this price. Costing hundreds less than some equivalent laptops, it stands head and shoulders above the competition. The VPCZ12V9E/X is a winning combination of style, power and chic design quality in a stunning ultraportable package. With Intel's Core i7 technology providing the best performance we've seen to date, this is easily one of the best laptops you can currently buy if you can afford it. The slim, lightweight VPCZ11Z9E/Bpacks a Core i7 processor and 6GB of DDR3 RAM into one neat package. Its discrete graphics card means it's even suitable for gaming. While the price is high, there's no doubt that this ultraportable laptop sits comfortably among the upper echelons of the current market.